Hello, and welcome to “the shape of things to come”. This is a place to share and grow ideas about how to build the kind of future I’d like to see: one that’s environmentally and economically sustainable, socially connected, joyful and meaningful. My name’s Toni. I’m an ecologist, amateur photographer, and idealist. Currently living in Melbourne, Australia, I’m undertaking postgraduate study and skilling myself up to contribute more to the world I’d like to see. My journey into sustainability has taken me from my beautiful adopted home of Hobart, Tasmania, to the other side of the globe in Lima, Peru, and now to Melbourne. 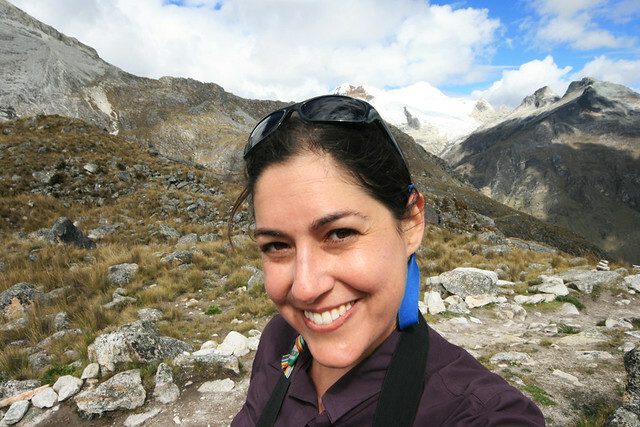 You can read about my time in Peru _on this page_, or use the category tags to find posts on subjects that interest you. There’s also a page for useful links to other voices and resources for conversations about sustainability and how we can participate in growing a brighter future. I write about my adventures and experiences in trying to live a more sustainable life and the lessons learnt along the way. I draw on both personal experience and my scientific training, and now that I’m back at uni I’m certain there will be many discussions focussed around my studies too. We only get one shot at life and I believe it’s important to make the most of the opportunities that come my way to put my values and beliefs into practice. Thank you for reading. Please comment and share your ideas for building the future you’d like to see. Please come and join the discussions over at the Shape of Things to Come facebook group! If you’d like to contribute to the blog by providing a guest post, sharing an idea, asking a question or providing feedback, please get in touch as I’d love to hear from you. Send an email to “shapeofthingstoni@gmail.com”. All photos used on this site are mine, with fair use permitted for non-commercial purposes under a Creative Commons copyright. If you would like to use one of my photos, please contact me at “shapeofthingstoni@gmail.com”. Wow. You live life to the utmost. I’m very impressed with your blog. Keep it up! Your blog is full of color. Thank you very much. Your photos are very inspiring to me as you know – also, I used your kitty cat photo for my Tumblr blog, apologies for not asking sooner, I normally do! Hope that was ok, let me know. Hi Emma! Anything I post to Flickr can be used as long as it meets the terms of my Creative Commons licence (non-commercial, non-derivative and links back to flickr or to here), so posting to your tumblr is fine. It’s a pretty tumblr too! Hi Toni! Wonderful and impressive blog. I particularly enjoy your photography. I’m likewise inspired and challenged by your advocacy for sustainable living. I work somewhat in the same discipline area but focusing on built environment. I tell you – when my ‘needs’ and ‘wants’ evolve into ‘necessities’, sustainability easily becomes a very challenging proposition. 🙂 Hope things are getting better in Tasmania – stay safe. Thanks Mary! I’m likewise really digging your photography and would love to learn more about sustainability in built environments. Good design and clever use of materials can really deliver big outcomes in reduced energy consumption and toxicity, I think. I’m also fascinated by “green roofing” and other methods of including gardens in buildings. And finally most of the fires are out! Have just “bumped into” your blog. I have an allotment blog, not sure if it fits with what you are building here, but maybe worth a look. You would be most welcome to drop in and take a look. Meanwhile good luck with all you are trying to do.